What’s up, appaholics? August is gonna kick off soon, and like always, we’re here to give you our picks for the coolest apps for Android. We’ve got a SEGA blast from the past, a new live stream video chat, a handy bird guide, and of course, a crazy awesome theme app from the newest Spiderman: Homecoming movie. If you’re a fan of beat ’em ups, this one is for you. 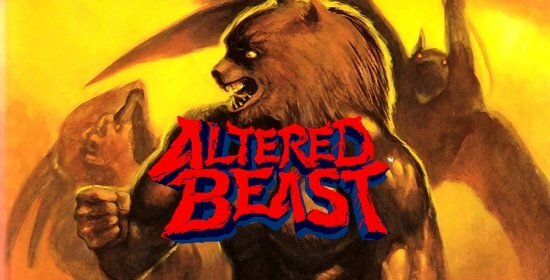 Altered Beast comes from a treasure trove of free SEGA console classics that is now available on mobile. As the Altered Beast, you are back from the grave, destined to fight the terrors of Hades. With power orbs, you can morph into killer predators and claw, hack and maul your way to the depths of hell. A true classic, you’ll play this game to death. Get it here. Exercise your brain just like your muscles! This app will test your memory skills to the fullest, and all you need to do is remember the objects it shows in the right order. And with the premium version, you’ll have full access to the game with infinite life. In case you’re stuck at any level, don’t worry! Practice makes perfect, and soon you’ll be amazed at all the levels you’ve unlocked. Here’s a tip: try making a story from the images. Get it here. Summer’s almost over, and here’s one of the coolest apps for stormy weather. Hurricane Tracker is one of the most used tracking apps that gives you push alerts when a storm forms or threatens a landfall. It features 65+ maps and images, in-depth analysis, real time National Hurricane Center and audio tropical updates. It’s a great pick of the bunch for tracking hurricanes. It has a cool interface and categories to drill on, from a “quick headlines” blurb to “current systems” maps as you scroll down the page. Get it here. This is one of the coolest apps for live broadcast video chat, and it already has over 10 million downloads. Live.me gives users the power to broadcast streams of music and video, make new friends from around the world and chat with celebs. With a few taps, you can video chat or watch some awesome videos by tag and category. With millions of users already on board, this social platform looks is really taking off. You can also send gifts to the performers and streamers. Get it here. Your friendly neighborhood is finally here to rock you to your core! Sony XPERIA™ brings you the Spiderman: Homecoming themes to your Android, with over 300 amazing, customizable graphics. Spice up your mobile and style everything with Spidey, from your lock screen and wallpapers to your icons, colors and buttons. The interactive wallpaper works like a charm, and it’s just amazing seeing your favorite wall-crawling, web-slinging hero. This app works for most Xperia devices, including Z5, Z5 Compact, Z4 Tablet, and Z3. Get it here. Tired of switching your Philips Hue lights from the Quick settings? Here’s the app that makes it much, much easier. With one tap, QuickHue Pro can switch on and off your Philips Hue lights directly. Simply put, this app adds “quick-tiles” to your quick settings and toggles your set scenes. It’s very easy to use and setup takes only around 30 seconds. With it, you can configure up to 6 tiles, create and customize them with names and icons. It’s superb, very practical, and works very fast. Get it here. Our list of the coolest apps this August won’t be complete without the Collins Bird Guide. This book app combines world-class images and complete info, making it the ultimate field guide for bird lovers. It has an intuitive design that gives you everything you need to identify a species quickly and easily. It comes with great content that you can filter by country, habitat, bird color etc. Learning about birds has never been easier and more fun, and it’s a handy companion on your mobile. Get it here.